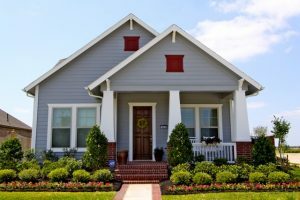 Between the early 1900’s to the 1930’s, the bungalow was the dominant home style in the U.S. The simple, small one-and-a-half-story homes boast a sloping roof, a front porch and sparse décor. And each neighborhood was stocked with the style. In the Midwest, entire subdivisions were bungalows. In fact, the housing style still represents about one-third of Chicago’s single-family housing. 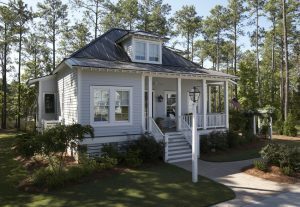 Preserve the history and style of your bungalow with James Hardie® siding and trim. 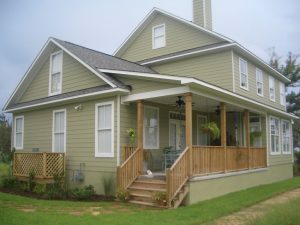 You can opt for the antique look of staggered edge or straight edge HardieShingle® siding, HardiePlank® lap siding, HardiePanel® vertical siding and a variety of trim options to polish off your preferred siding choices. Each offer high-performance durability and protection but with a variety of looks.